Improvements to waste collections on the Isle of Wight, designed to increase recycling and reduce the amount of rubbish sent to landfill, are due to be introduced from Monday 2 May. For recycling collections – Either a green wheeled 240 litres bin (you will retain your existing bin if you already have one) or a green 240 litres gull-proof sack. 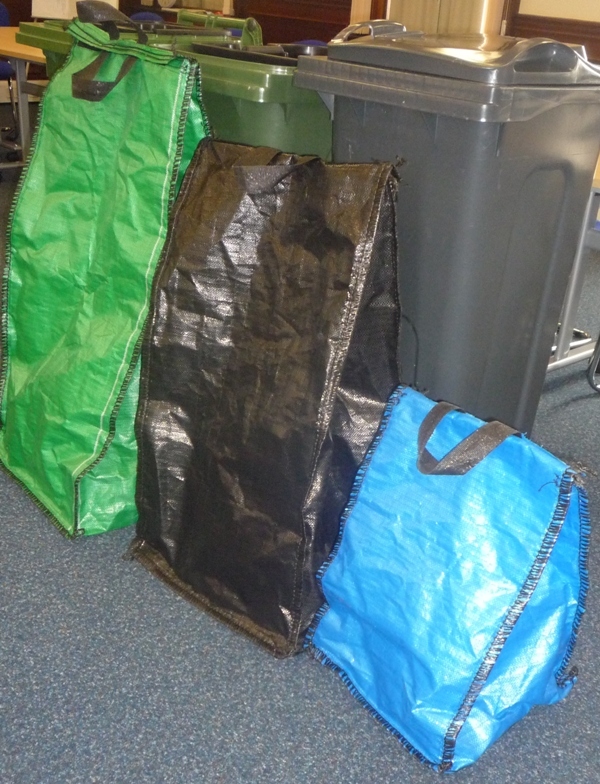 Smaller 140 litre bins and sacks for smaller households are available. 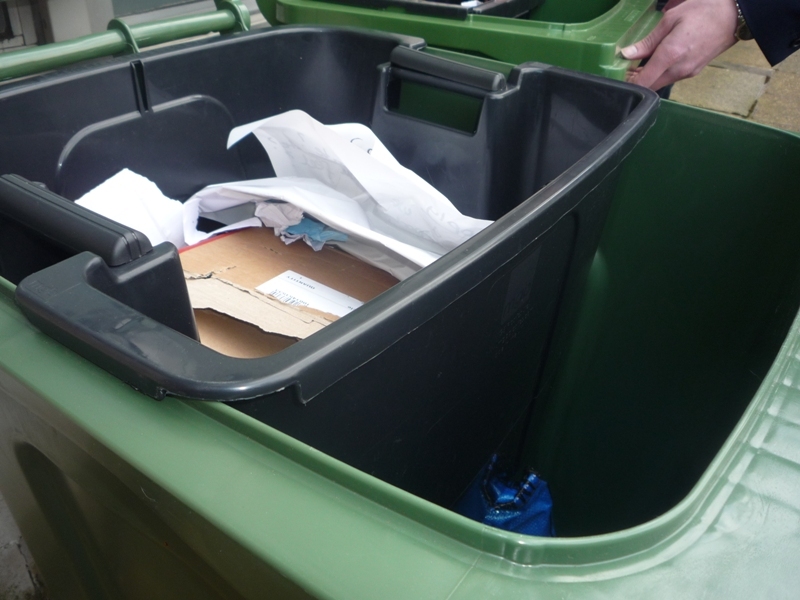 For the green wheeled bin you will also receive a black insert 55 Litres box for paper/card waste. If you are allocated a green gull-proof sack you will also receive an additional blue 55 Litres reusable sack for your paper/card waste. For rubbish (non-recyclable) collections – Either a black wheeled bin or a black gull-proof sack. (Size dependent on household size) You will place your rubbish in bin liners, supplied by yourself, inside your black wheeled bin or black gull-proof sack. 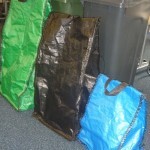 Residents are advised to keep bins and sacks clean by using bin liners. Rubbish (non-recyclable) left in sacks at the kerbside separately will NOT be collected. Any additional rubbish, not inside your bin or sack, will NOT be collected and bins must have the lid in place before it can be collected. You will continue to put out your existing food caddy for food waste collection in both weeks. All gull-proof sacks have waited bottoms so that they will not blow away when empty on windy days. Amey recently completed a full survey of every property on the Island to decide which would be suitable for wheeled bins and which would be suitable for gull-proof sacks – depending on the space or access available outside. Residents will be sent an information booklet by Monday 4 April indicating if their property has been allocated either wheeled bins or gull-proof sacks. The public is asked not to contact the council until they receive their information booklet confirming their allocation. The survey, carried out by Amey, has found that many properties that currently use loose sacks are suitable for wheeled bins. The new wheeled bins or gull-proof sacks will be delivered, as appropriate, to all 71,000 Isle of Wight homes between 30 March and the early part of May, and according to a set schedule following booklet delivery. Homeowners should place their new wheeled bins or gull-proof sacks out for collection on their allocated collection day from 2 May onwards and any ‘new’ bins or sacks placed out for collection before this time will NOT be collected. 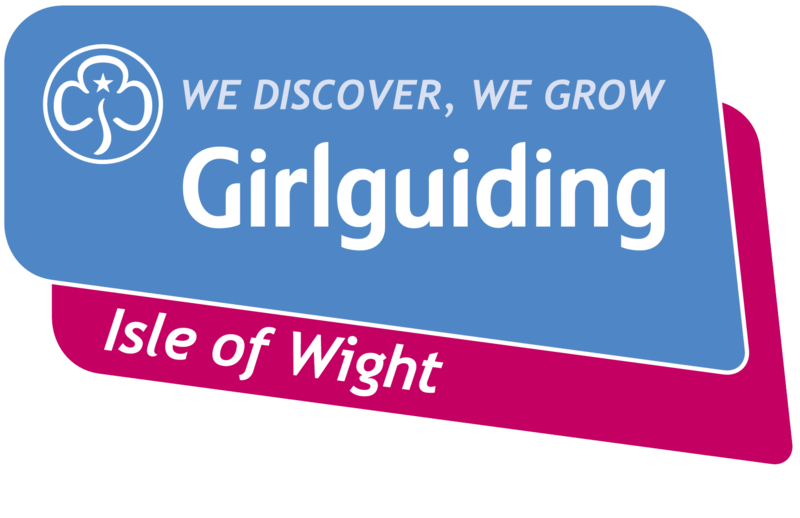 The information booklet contains details of the new arrangements, including an annual collection calendar specific to each property, and an updated list of what can and cannot be recycled. It will be delivered to every household by the Royal Mail and residents are advised to look out for their booklet, and then keep it to refer to. 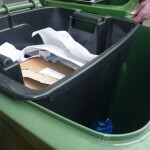 Paul Southall, account director for Amey,(which has a 25year contract with the IWC) said: “The new arrangements will make it easier for people at home to separate waste and recycling, which in turn helps us increase recycling rates. Simple measures, like separating paper and card from cans/bottles, make a huge difference. Isle of Wight Council member for environmental sustainability, Councillor Paul Fuller, said: “These changes, in partnership with Amey, will play a significant role in improving recycling on the Island and reducing the amount we send to landfill – as well as improving our local environment through the better containment of household waste. The Island is divided into 15 collection rounds and at present there is a recycling rate of 56%.A massive 33K tons of waste is produced by Island households each year. At present there are 61 Bottle Banks but these will be greatly reduced. Any ‘green waste’ (in pre-paid sacks) will be collected on the same day as re-cycling waste. Amey have a contact centre which tracks each vehicle, which in turn has an on-board computer to record information such as which households are not using bins in a correct manner. There will be assisted collections for residents unable to get their bins or sacks to the roadside but there is a charge for this and owners of 2nd homes or those who work hours making it impossible for them to catch collections can also arrange collections for a £52 annual fee. By arrangement up to 4 bulky items can be collected for a £25 fee. One of the main changes is that only ONE bin or sack of each colour will be collected from each household per week. Families who generate large amounts of rubbish will be expected to take excess rubbish to the nearest tip at their own expense.